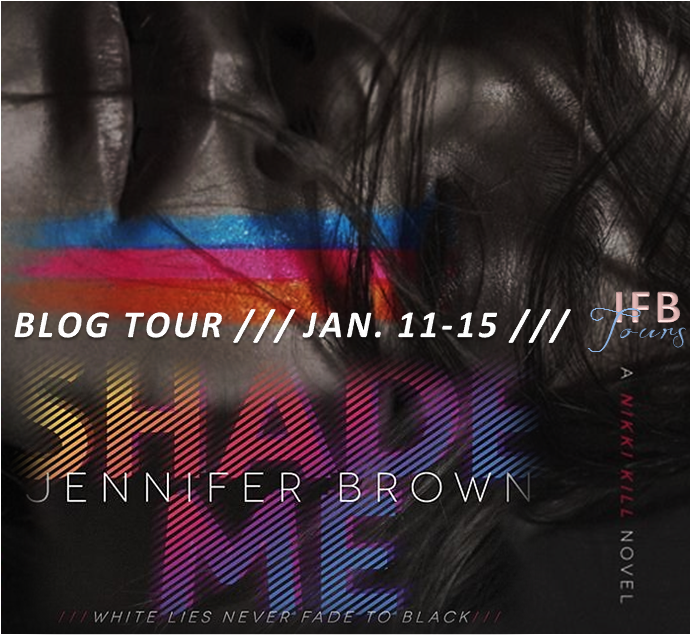 With a really cool subject, and a great, gritty backdrop, Shade Me was another good bookish start to 2016. Jennifer Brown has an awesome imagination, and kept me guessing about certain things throughout the story. Shade Me is a mystery set in a down and dirty LA. The protagonist is a girl named Nikki Kill who has a rare disorder called synesthesia. This is a very interesting thing, and one that I would love to know more about, in a reality setting, as well as in more fictional settings. The synesthesia has ruled Nikki's world for as long as she can remember. shaping the way she sees and feels about everything. She doesn't do well in school, she is very closed off... Until one day, she receives a call from an unknown number, and hears a girl being attacked. Not long after, the number calls again, and Nikki is asked to come identify a badly beaten girl at the hospital. The girl turns out to be Peyton Hollis, one of the richest girls in town and no friend of Nikki's. So why was Nikki's number the only one in Peyton's phone? From that point on, the mystery begins to take shape, and it is a pretty good one. Yes, I guessed several things early on, but there was also a pretty big, unexpected twist that took me by surprise. I enjoyed the mystery aspect of the story. There is also some romance, for lack of a better word. But beware, if you hate love triangles, you might despise this. Nikki has a little something with three different guys in Shade Me. The best thing about it is, they don't consume the story. So don't let it scare you away, but watch out for it! 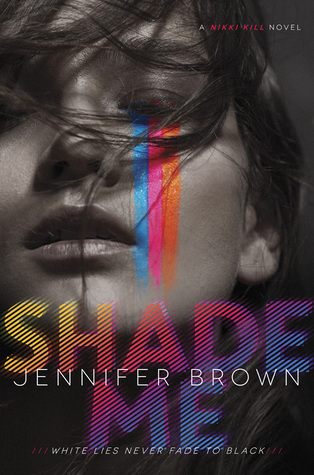 Jennifer Brown really does a great job with a mystery, and with her world-building. I did have several issues with relating to the characters, especially Nikki at times, but I still enjoyed the story. Nikki, for me, is just one of those characters that I went back and forth on. As far as the men in Nikki's life, they were each alright in their own ways. Thankfully, what made the story work for me was the mystery. While it wasn't a favorite book for me, it was an enjoyable one. 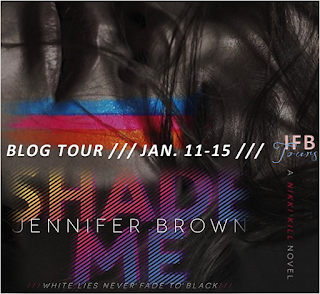 Shade Me is the first book in a series, and I am looking forward to what comes next. Jennifer Brown is a great writer, and I think the sequel could be a pretty interesting one. And I know that I, for one, have several questions that I am ready to find the answers for! Jennifer Brown is the author of acclaimed young adult novels, Hate List, Bitter End, Perfect Escape, Thousand Words, and Torn Away. Her debut novel, Hate List, received three starred reviews and was selected as an ALA Best Book for Young Adults, a VOYA "Perfect Ten," and a School Library Journal Best Book of the Year. Bitter End received starred reviews from Publishers Weekly and VOYA and is listed on the YALSA 2012 Best Fiction for Young Adults list. Her debut middle grade novel, Life on Mars, was released in 2014, and her second middle grade novel, How Lunchbox Jones Saved Me from Robots, Traitors, and Missy the Cruel will be released in summer 2015. She also writes women's fiction under the name Jennifer Scott.